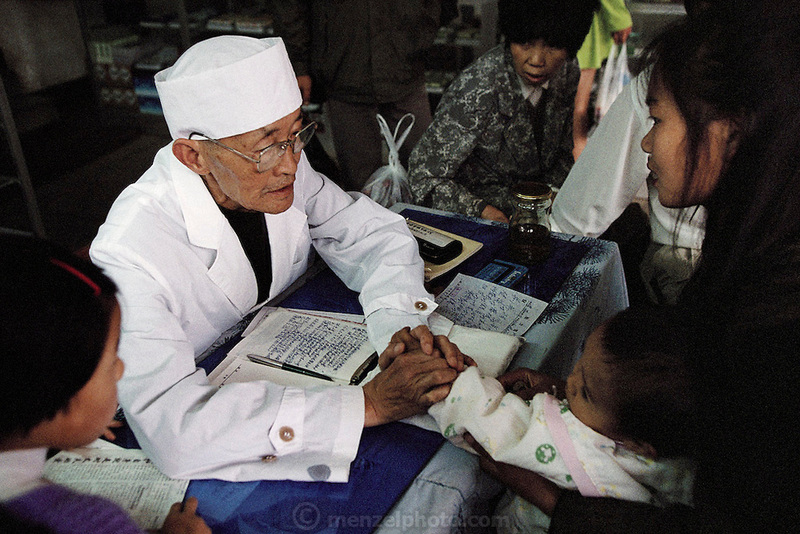 A traditional medicine doctor surrounded by his patients in the Fu Lin Tang Pharmacy in Kunming, China. The doctors, and all those in the line, listen to a series of health ailments, after which the doctor prescribes specific prescriptions of herbs and insects. From the project, Man Eating Bugs: The Art and Science of Eating Bugs.